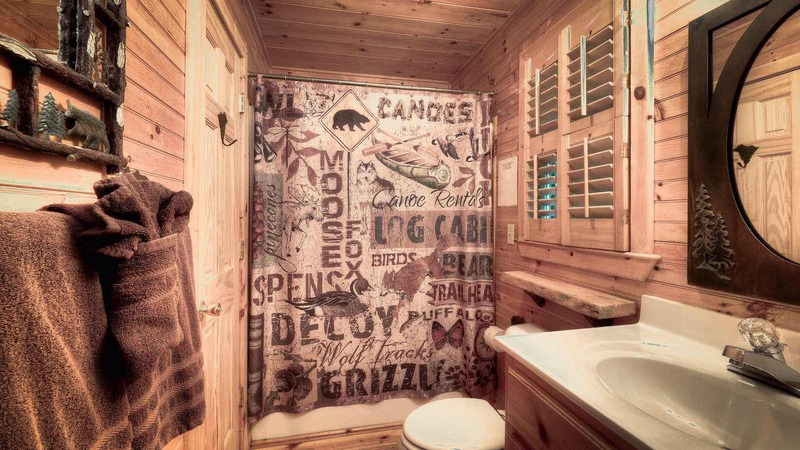 It sounds like the creek is coming through the cabin! 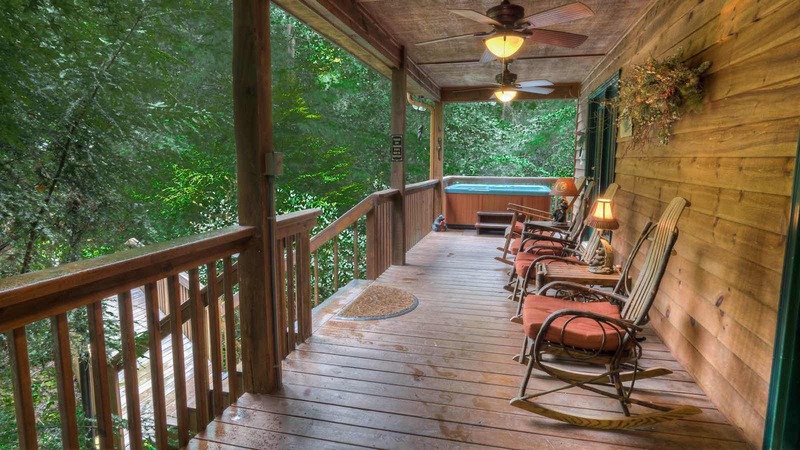 You are so close to the water you can feel the moisture and the view is amazing! 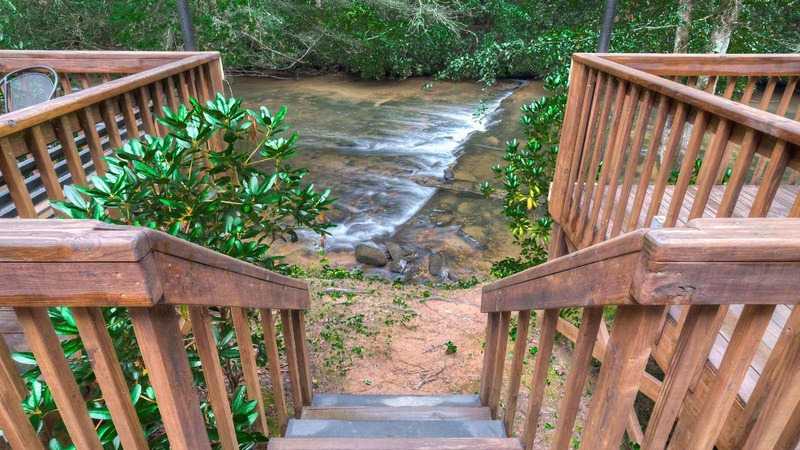 Rushing Waters Retreat is just that. 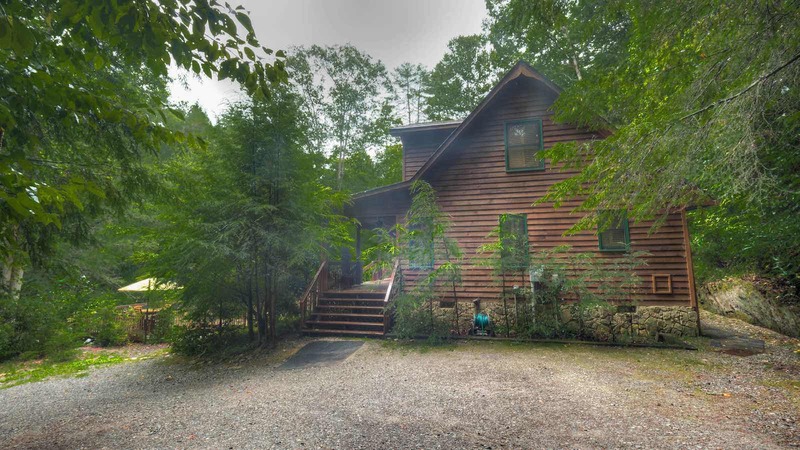 This private cabin is nestled on the banks of the highly desired Fightingtown Creek and you can't see any other cabins. 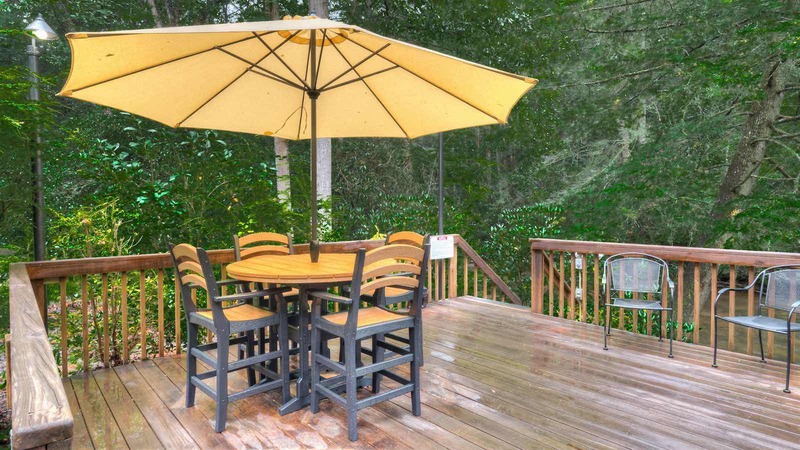 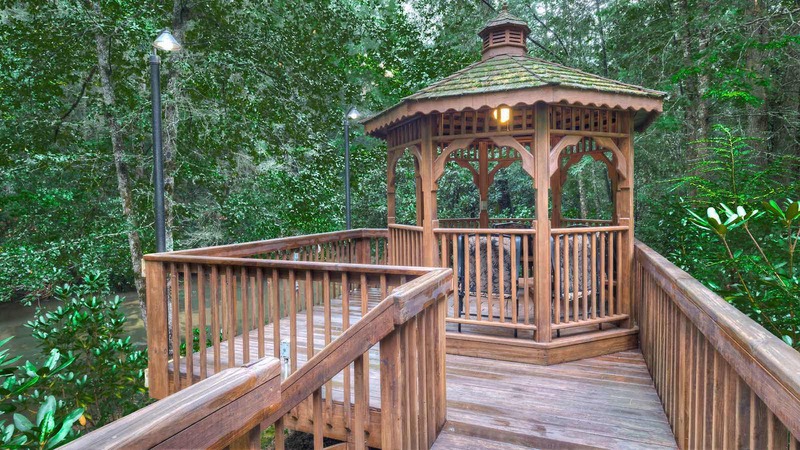 The layers of decking create a unique outdoor living area that is surrounded by natures beauty.... the soothing sounds of the rushing water, the calming shades of green on the evergreen mountain laurels and the sounds of nature. 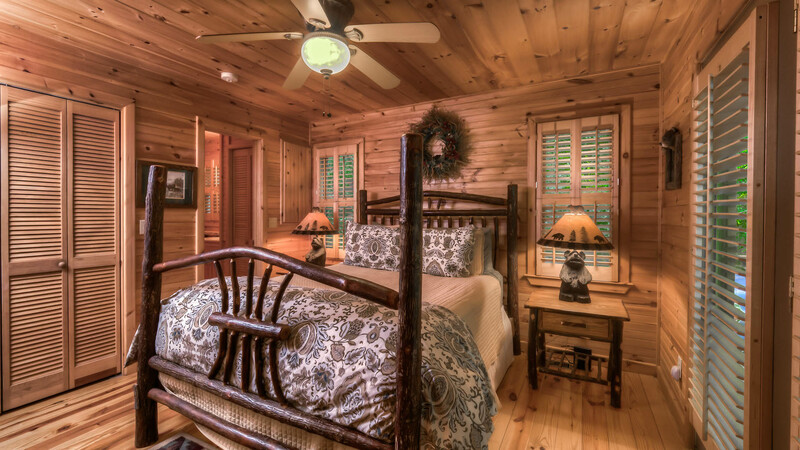 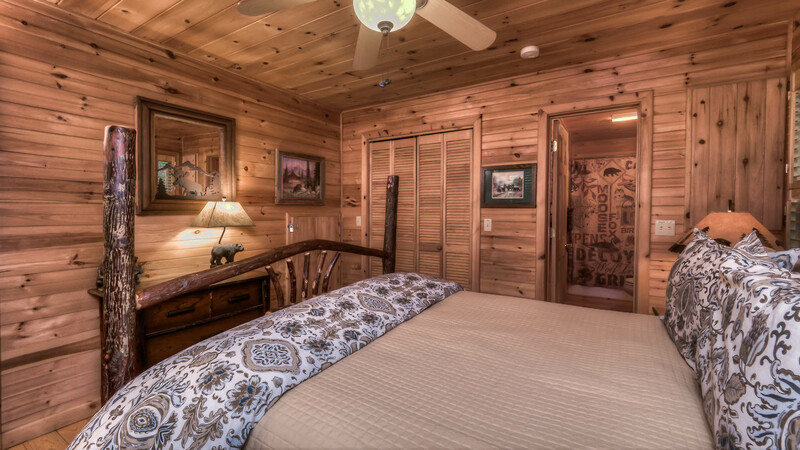 The cabin was professionally decorated by one of our areas finest designers and a majority of the furniture was handcrafted by local craftsmen. 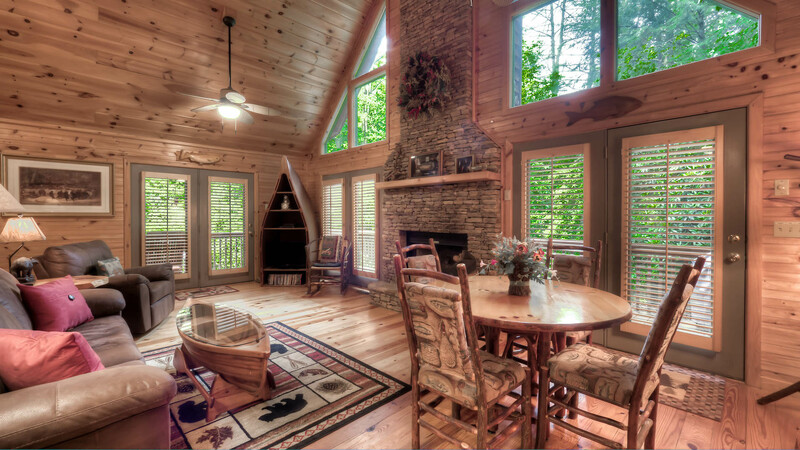 The cozy cabin leaves nothing to be desired from a well stocked kitchen to a great place to read tucked in under one of the many lamps in the greatroom. 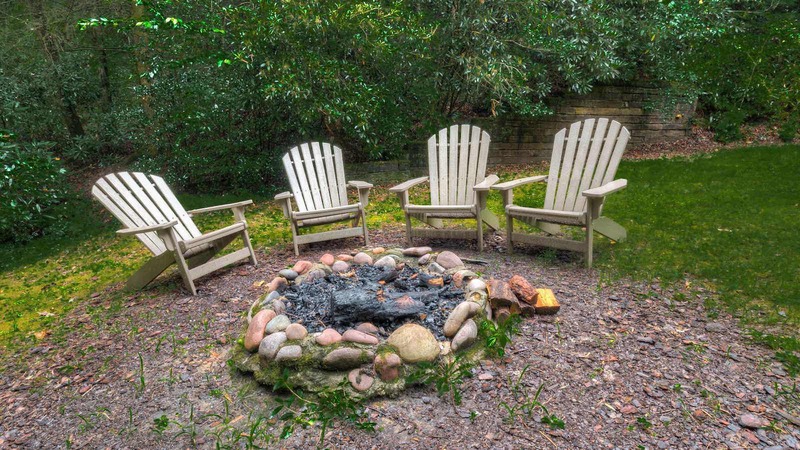 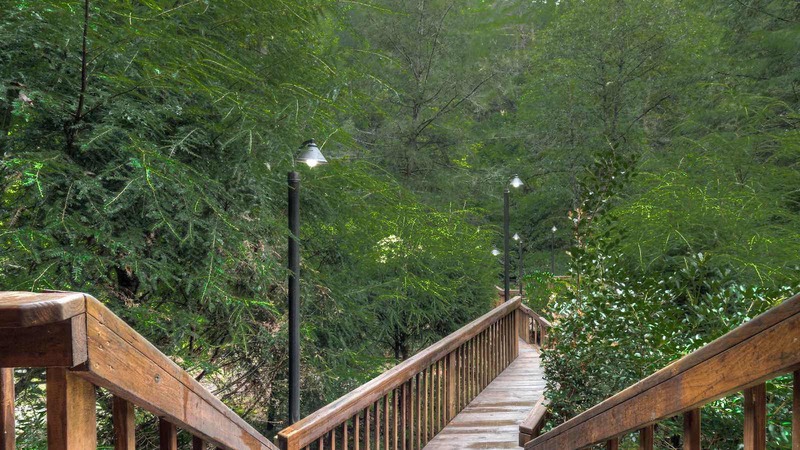 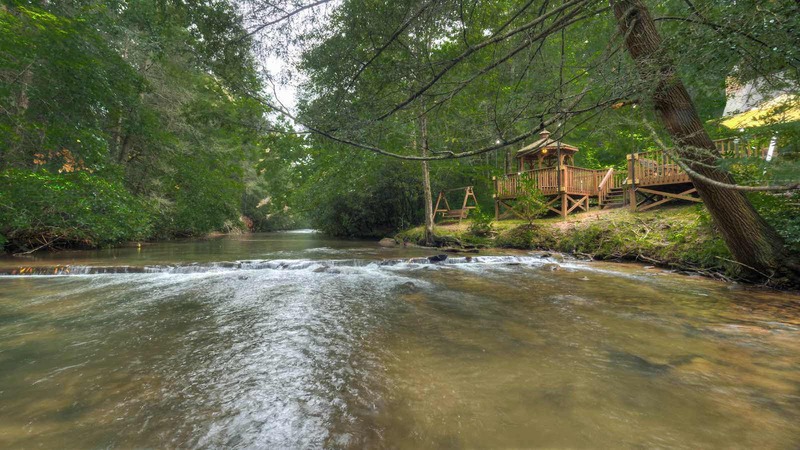 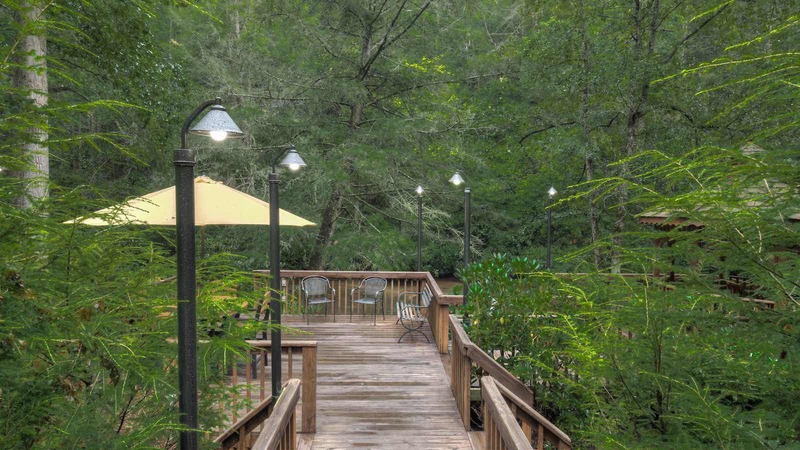 Rushing Waters Retreat is a one-of-a-kind property that is hard to find..... breathtaking creek frontage with a natural water cliff, private and perfect for one couple or even two! 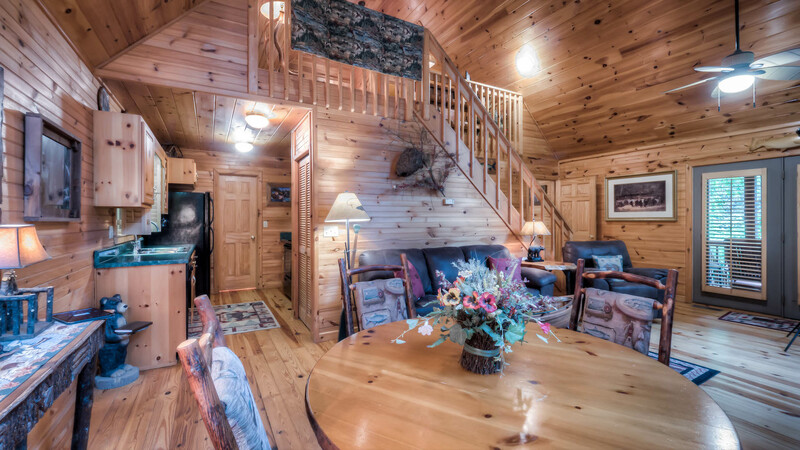 The main level has a bedroom with a queen bed, full bath and greatroom with kitchen, living area with gas log fireplace and tv with satellite and dvd and dining area. 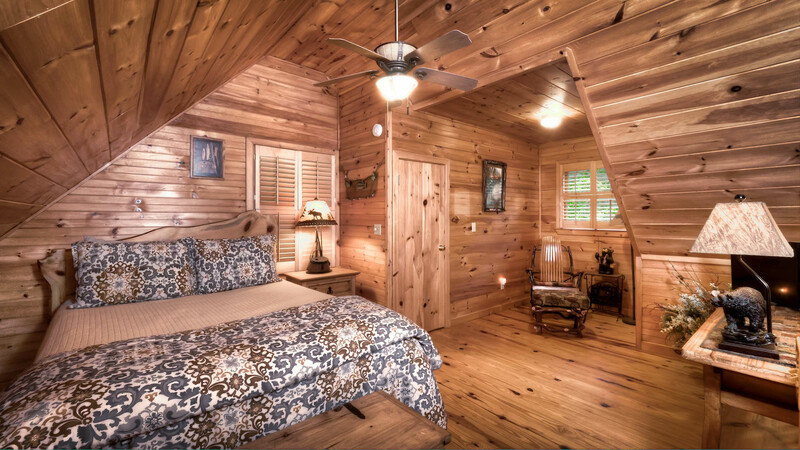 The second bed is in the open loft with a 1/2 bath and second tv. 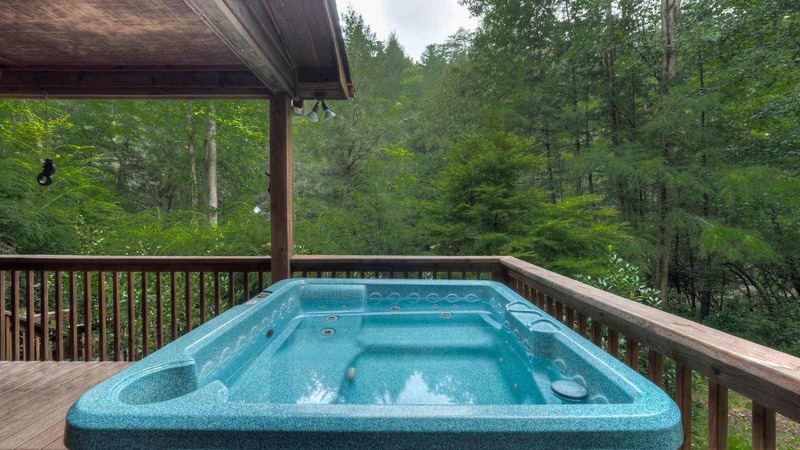 The hot tub is located just outside the main level on an open deck that is perfect for star gazing. 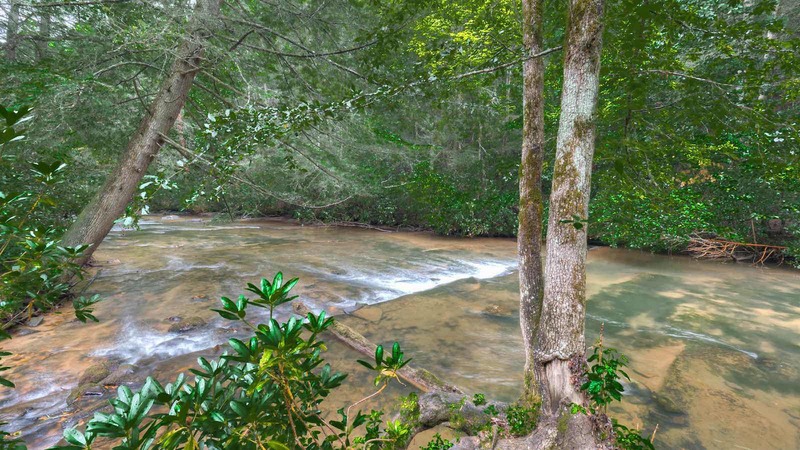 Bring the kids and they will love the gentle slope into the creek and they can sit in the water while it flows over them.... this will be quite an experience! 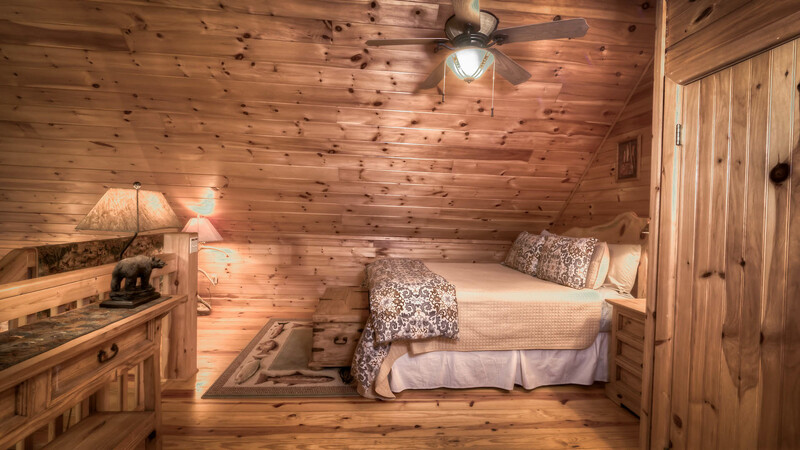 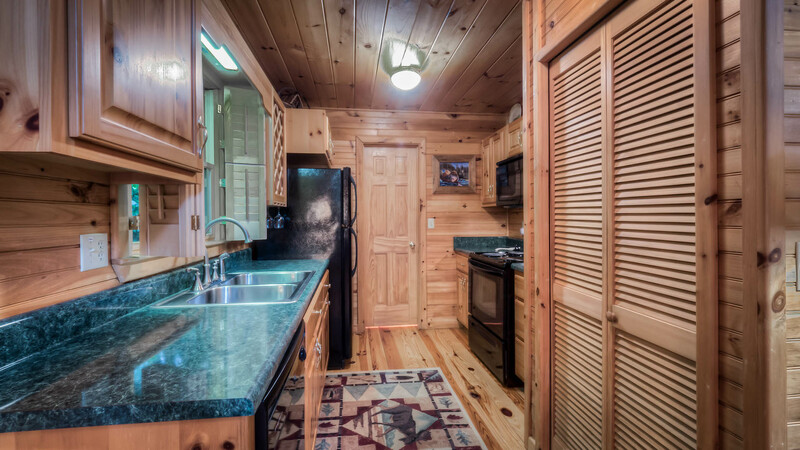 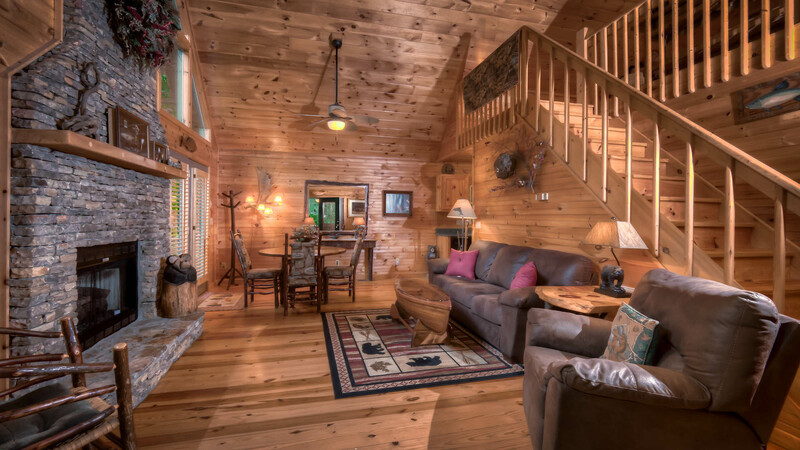 Fightingtown Creek is also a designated trout stream for those of you that are interested in fishing.....You have just found the perfect cabin in Rushing Waters Retreat!